LOS ANGELES — Given what the cameras add, Hollywood stars start out some 10 pounds behind the game. Little wonder so many actors are serious weight watchers. But even those most diligent about diet and exercise give in to temptation on occasion, with Emmy day __ this Sunday __ being a likely contender. Chances are, for many Emmy nominees, something wickedly caloric their way will come. Friday night in West Hollywood, the Television Academy threw its annual weekend-of bash for performer nominees, who revealed Emmy-day plans from wakeup time. 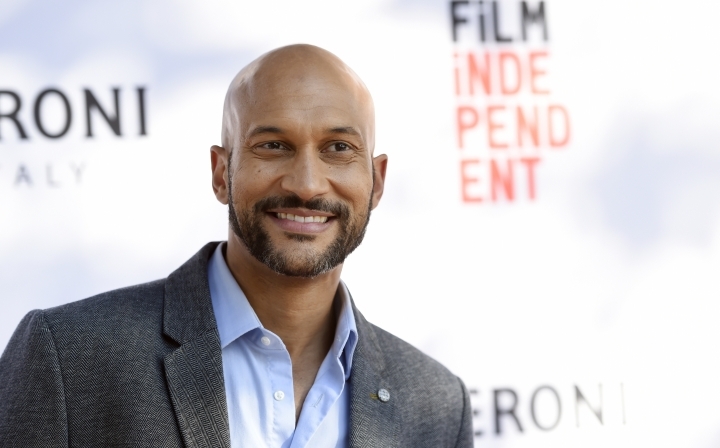 "Sunday morning, I'm going to try to eat," said Keegan-Michael Key, a four-time nominee this year, including outstanding supporting actor in a comedy series for the sketch show "Key & Peele." "It might be the only time I eat a full meal all day," he explained. "So, I like to go and eat something bad. Like IHOP. Or figure out exactly the minute that In-N-Out opens, and go have an In-N-Out burger __ like at 9:30 in the morning." Then comes the makeup — lots of makeup, Key noted as he pointed to his bald head. This happens at home. "The makeup artist drinks wine. Girlfriend drinks wine. I drink wine. We all have our wine when we do the makeup, which you'd think would screw it all up. It doesn't. .... And then we get in our car and we get moving." Four-time nominee Felicity Huffman is already a 2005 Emmy winner for "Desperate Housewives" and, this year, has a second nod as lead actress in a limited series or movie for her role in "American Crime." Since actor-husband William H. Macy has previously logged two wins, they've got this Emmy-day thing down. "I think what we'll do after coffee ... is, we'll be taking a run," said Huffman, before joking, "then a cigarette and some bacon." Maura Tierney, nominee for outstanding supporting actress in a drama series for "The Affair," said on her Emmy morning, "I'll eat something. But I get really nervous." She said she'll be staying in a downtown Los Angeles hotel near the Microsoft Theater, where the Emmys are taking place, because the long ride in from home is so nerve-wracking. "I don't know what I'll eat," Tierney said. "Maybe a few nuts and berries." A long pause. "I'm kidding." Niecy Nash definitely has plans in place. "I will probably have a little breakfast, a little champagne, do a little canoodling with my husband, then put creams and potions on my face believing they'll make me look younger," said Nash, who is nominated for outstanding supporting actress in a comedy for "Getting On." After that: "Get slid into some sort of Spanx," she said, "to bind everything." Padma Lakshmi, a nominee for outstanding reality competition series as a producer of "Top Chef," said she'll start out the day nutritionally angelic. But she'll likely be a devil by the after parties. "I eat a really good breakfast. Not a lot of bread," she said. But hours later, "All those parties will have those little push carts with hamburgers." Her expected response to such temptations: "I'm done with all you red-carpet people! I'm finally letting my stomach push out," she said, laughing. The 68th Emmy Awards airs on ABC at 8 p.m. EDT Sunday.